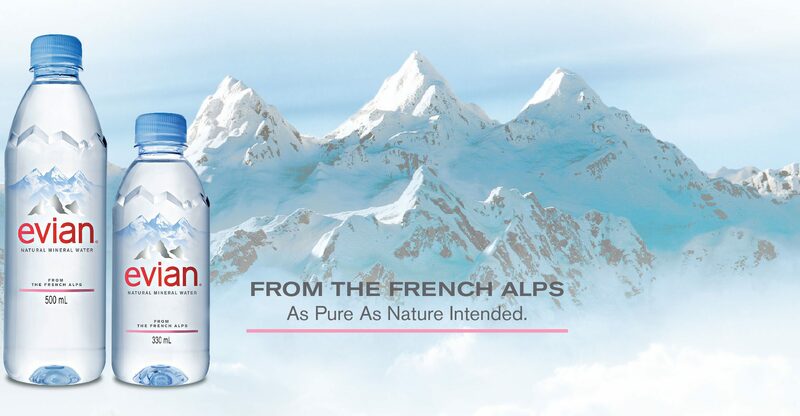 In order to expand consumer reach and to improve customer satisfaction, Danone implemented Swaven’s Where To Buy on its website for Evian mineral waters. Danone is a world leading food company present in over 130 markets and built on four business lines: Fresh Dairy Products, Waters, Early Life Nutrition and Medical Nutrition. The company is constantly developing both its product offer as well as its presence online to meet the varied needs and buying habits of consumers. Ecommerce activity of Danone gains importance and its water products are performing particularly well. In order to continue to boost the buying frequency and to gain new customers, the company is multiplying its marketing methods to find the consumers wherever they are with a product offer and formats adapted to their preferences. Danone has also realised the importance of capitalising these marketing efforts by making them more transactional to generate sales. To this end, it is using Swaven’s Where To Buy. 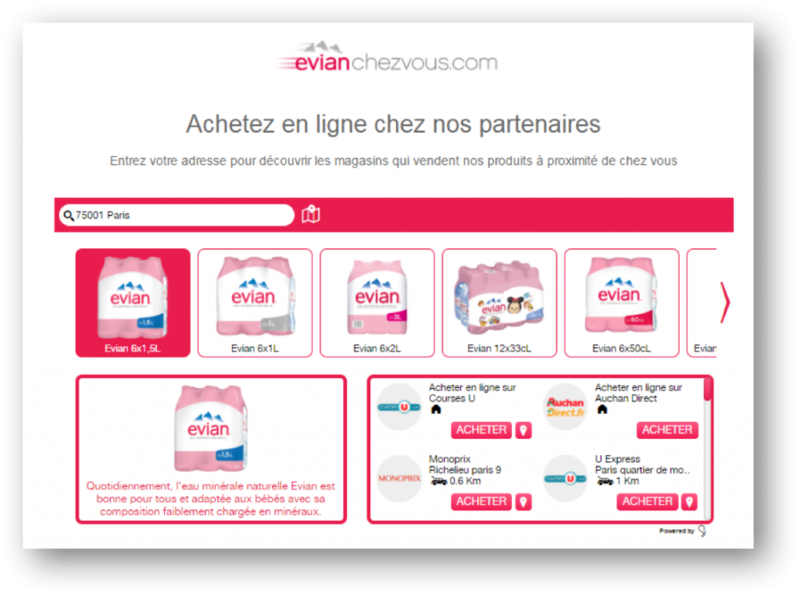 The latest example concerns Evian and other mineral waters of Danone sold on a dedicated ecommerce website, Evianchezvous.com. On this site, consumers can buy products and get them delivered at home in Paris and surrounding suburbs. In order to cover other regions and to offer other buying options, Swaven’s Where To Buy solution was implemented on the site to allow consumers to easily find the products in stores closest to them based on their geographic location, and online on Evian’s distributor sites. In this way, Evian is able to redirect all visitors to the right addresses to buy the products wherever they are and according to their buying preferences. In addition, the solution allows them to collect valuable data on the buying path and preferences that the brands can use to optimise their retargeting. Evian chose the Where to Buy landing page format. One of its advantages is that it allows the brand to display several products in a carousel. As Evian has several different bottle and package sizes, this is an ideal way to show the consumers the different options. Once the product selected, the solution automatically displays, on the same page, the different distributors selling it, online and in physical stores nearby. A three months’ audit confirmed the strategy is paying off. More than 20% of visitors continued their shopping journey by getting redirected to Evian’s resellers. Danone has realised the advantages of Swaven’s Where To Buy solution, that can be deployed for any digital touch point. It can help them in the future to drive traffic to their stores also from social media, where the company is seeing more and more consumers posting messages asking where they can find the new products that still have a limited availability. Contact us to find out more about Swaven’s Where To Buy brand commerce solutions for website, social media, mobile, display and video.